If you have a car, you likely spend a lot more time in it than you would like to admit. In the United States, for example, people often drive anywhere from 20 mins to an hour both ways in order to go to and from work, and some people drive up to 3 hours each way! Imagine doing this every day for years on end. What can you do to make sure that the experience is not so boring that you end up thinking about driving off the road and into a tree (or actually falling asleep and doing that by accident)? Well, a good way to stay alert and to stay entertained is to have a radio through which you can crank the tunes. Furthermore, if you have a brand new car, something made in the last couple of years, then you can probably connect all manners of device to your radio via Bluetooth, some sort of NFC (near-field connectivity), or even with the use of a simple 3.5mm AUX jack. But if your car is older, you may be out of luck if you want to be able to enjoy tunes that aren’t on your radio (and let’s face it, radio music these days is pretty awful unless you’re into the more poppy kind of things). Well, you can get a car stereo installed of course. Now, finding the top rated car stereo for you is something that may take a bit of work. Then, of course, there’s also the work that will have to go into the installation of the car stereo, but that’s a problem for another day and another post. For now, let’s just take a look at the differences between the car stereos that we have reviewed, in the form of a handy and easy-to-read chart. Here are the best car stereos of 2018. Now that you’ve got a good idea of what these various car stereos may be able to do for you, it’s time that we take a bit more of an in-depth look at the radios that we looked into, and see what each one may be able to offer you. This thing is big and colorful, and that’s a great thing if you’re driving a lot, especially at night. Also, let’s be honest; if you’re trying to hit the right button, the bigger the button is, the more likely it is that you can hit it without having to take your eyes off the road, and that is just a nice touch that will be able to help you stay safer while on the road. JVC is an old company that has been making electronic devices to aid you in enjoying music (and film) for decades. They tend to make quality products, too, which is always a nice touch, because this means that you can buy their product without a lot of worry that it is going to be a lemon or just a poorly designed product. Family members of relation to myself actually had a JVC VCR player that continues to work, to give you some idea of how hardy their products are (even though pretty much no one has any VCR tapes anymore). Their offering here is a decent one, too, especially if you have space. It comes with a lot of connectivity options as well, which is always something that is nice to see. It can take the usual 3.5mm AUX jack (meaning you can basically hook up any device that has a 3.5mm jack for headphones, including a laptop), as should be expected. It also has a front-facing port for a USB cable, meaning most mobile devices can be run to it. Even better, it has Bluetooth connectivity, meaning even MORE devices can be utilized, as well as meaning that you can enjoy hands-free calling. Why is hands-free calling so great? Laws. In many states, it is illegal to be using your phone while your engine is running. In almost all states, it is illegal to look at your phone rather than the road. Thankfully, this JVC offering in the competition for best car stereo will be able to make sure that you are going to be able to talk (and even answer) your phone without breaking the law in most states. It can handle most file types when running through the CD player, too, which is a good benefit. If you’re not running your music on a CD through the player, though, generally the filetype that you are using doesn’t matter. All in all, definitely a great car stereo with Bluetooth that you should look into! Pioneer is another one of those companies that have been all around in the stereo game, and they’ve been helping people to enjoy their sound for quite some time. It was founded in Japan in the late 1930’s to repair speakers and radios, but today it is better known for selling affordable stereo equipment, Bluray players, and more. So how is their offering? Well, as far as a Bluetooth car stereo adapter goes, it’s a great one. The Pioneer MVH-X380BT is a slim piece that comes with all the bells and whistles you would expect to get from such a company. It can take a connection from the usual sources. USB connectivity is there, and as with the JVC model, the connection is front-facing, making it a lot easier to hook into than some units have been before. There’s also a 3.5mm AUX jack, which is nice for if you don’t want to have to deal with a Bluetooth connection (even though the wired connection is a lot more stable than a Bluetooth connection, and doesn’t require as much battery power from the source). If you’re wedded to the idea of using the CD player, don’t worry; the CD player is capable of taking MP3 files, as well as many of the other common file types used in music these days. Of course, you could just avoid that hassle and run your music through an iPod or a phone or even a computer, if you wanted. The Pioneer stereo face plate has a very simple design, which is truly a blessing if you’re trying to adjust your music while you’re driving. The oversized knob is a nice touch, as is the layout of the controls. They’re very easy to use, even while yo8u’re still attempting to keep your eyes on the road, which is a nice touch. All things considered, if you’re looking for a decent car stereo at a reasonable price, and one that can accept most of the CDs that you would ever buy, and many that you would burn at home, this is the stereo for you. Plus, it comes from a company with a long history of well-designed and well-backed products, and that’s always a nice touch. So far, we’ve been looking at some very colorful, some might even say beautiful, car stereos. This Kenwood offering is not the same as they are. 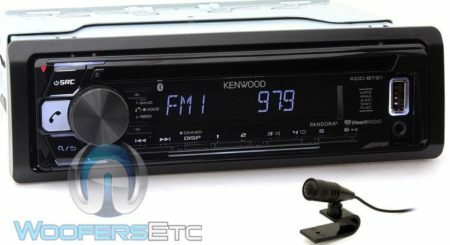 That’s not to say that this offering from Kenwood is not a stereo that is worth having. It actually comes with a few nice touches (including coming with its very own microphone that you can clip on your sun visor for the hands-free calling function), but it is just not as colorful as the competition that has come before it. So, if you’re looking for a flashy car stereo, it would be in your best interest to look elsewhere. That being said, the Kenwood KDC-BT21 is a decent car stereo. It has forward facing connections for a USB port, which is nice, and its USB port runs enough power through it that you are going to find that, when plugged in, your device may actually slowly recharge (unless you’re using your mobile device to run a film and listen to it as you drive. Also, you should not be watching films while you are driving, and it is illegal in many areas around the world). There is also the forward facing 3.5mm AUX jack, which is great for running all sorts of devices to your car stereo. It even has Bluetooth connectivity, which is a nice touch if you like the idea of using Bluetooth to stream music or even something like YouTube to your car stereo. The car stereo also is able to read a decent amount of filetypes on CDs, which is nice for people who are still carting around a big folder filled with burned CDs that have their favorite songs and mixes on them. Of course, most of us have moved well beyond that kind of thing at this point, but hey, some people still like CDs. The only real way in which this is an inferior product is the way that it is designed. I mean to say that the buttons are tiny (except for the button that allows you to pick up your hands-free call), and that means that if you’re trying to hit them while driving and not looking down, it’s going to be pretty hard to do. But if you don’t need a colorful stereo with easy to use buttons, this is a good option for you. Kenwood makes a second appearance on the list with a more colorful and better-looking offering, but it’s still not the perfect offering. This is a stereo from a couple of years ago, but they still hold up pretty well. If you’re the kind of person who does a lot of driving and likes to listen to music on CDs, this may not be the best option for you, because it doesn’t have the same filetype accessibility that a lot of the other ones listed here do, but it does come with a couple of nice touches. It is ready to stream two of the most common music/radio streaming apps; it can run both Pandora and iHeartRadio if properly configured and equipped. iHeartRadio will allow you to listen to pretty much any radio station in the world that is on their list, which means that you never have to leave your local radio station as you drive cross-country (if you don’t want to). It also has access to literally thousands of radio stations from across the world, so if you don’t want to listen to the same station twice in one year, you really don’t have to. Pandora is one of those streaming services that allows you to find music that is related to the music that you start with. For example, you begin listening to a punk song, and it takes you through a couple of similar punk songs, and just keeps on going like that, until somehow you’re listening to weird old Southern country with no idea how you got there. Of course, the faceplate can also connect via USB and via the 3.5mm AUX jack, but there is no, again, NO Bluetooth connectivity. Believe it or not, not everyone has to have it, I suppose, but what that also means is that this car stereo does not have the capability to do any hands-free calling, which means that if you’re the kind of person who takes a lot of calls while driving, this may not be for you. It also can utilize CDs so long as they are written with MP3 or WMA file types. That may not sound like a lot of compatibility, but those are pretty much the two most common filetypes used in burning CDs, so that shouldn’t be a big worry to anyone. All told, this is a decent offering, but one lacking in Bluetooth connectivity. If that’s what you’re looking for, this Kenwood device has you covered. I think that we can all agree that Sony has brought a car stereo that is a lot sleeker than most of the other ones that have been offered here, and definitely one that most will be happy to have in their car. I would also suggest that a lot of people will be pretty happy with it. To begin with, it has connectivity for the usual 3.5mm AUX jack, which means that so long as you have a male to male 3.5mm AUX jack cable, you will be able to use it no matter where you are. This can be great for a lot of purposes, really, and it will allow you to utilize pretty much any device that has a 3.5mm jack for headphones (although it may not transmit properly in stereo, which may annoy some of you). It can also utilize a variety of USB devices. As with the Kenwood offering that we reviewed up above, however, this offering from Sony does not have any Bluetooth connectivity. That means that you are not going to be able to do hands-free calling, and that you won’t be able to hook up with any solely Bluetooth device. What about the CD player? I’m sure that people are concerned about that, and I have good news; it can play the two main file types used in CDs and in burning CDs, WMA and MP3, which means that unless you use some weird CD burning software that runs on some weird format, you are going to be able to listen to your terrible mixed CDs without having any problems. The big draw here is that the Sony brand is well known and well supported, and that means that the Sony car stereo that you are buying will be well backed by their customer service and warranty. The downside is that if you are looking for something modern with Bluetooth connectivity, Sony is going to be leaving you out in the cold. At least their offering looks pretty cool, and has a nice aesthetic feel to it as well. Believe it or not, I once had a car with a very nice car stereo in it. And while doing the research for this article, what should come across my eyes but the very car stereo that I had for three or four years! Pioneer makes, as I’ve mentioned up above, a good quality product. So quality are their products, in fact, that in many cases, they continue to be sold even after a lot of other technology comes out that some people would prefer to have. The DEH-150MP is one of those instances where it may not be as technologically advanced as some of the other devices out there, but it has still held up, even as the times and technology have changed around it. To begin with, let’s be clear; this thing was designed before Bluetooth was a common thing, and that means that there is no Bluetooth connectivity. That means that there is not only no connection for your Bluetooth devices, but also that you will be unable to utilize hands-free calling through your car’s stereo. 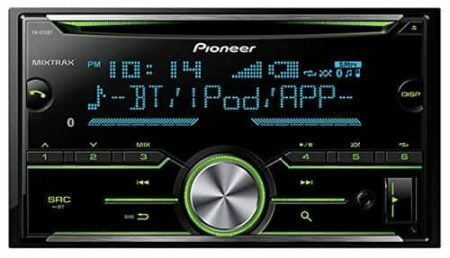 If that is a big deal for you, then this Pioneer product is not for you (and let’s face it, they offer enough decent car stereos that you can find one that you like, in your price range, that will also have Bluetooth). If you’re a CD lover, you’re in luck! As with most car stereos, it will be able to utilize any disc that has files with MP3 or WMA file types on it. That means that you can listen to the vast majority of CDs without having any problem, and that is always a nice touch. So how do you hook up to the stereo with an outside device? Well, to begin with, not via USB, because it doesn’t have a USB hookup. You’ll have to resort to the classic male to male 3.5mm AUX jack if you are looking to be able to enjoy the sound of music from, say, your iPod or iPad. So, if you’re looking for a low-tech (well, low-ER tech) car stereo that you will be able to enjoy and that will be able to play plenty of burnt CDs, here is a great place for you to start looking, and it also brings along the trusted Pioneer name, which is a nice touch. If there is one thing that is cooler than having a radio plugged into your car, it is having a radio that is also a touch screen. Certainly makes it a lot simpler to find the right files, too. Figuring out where to being with this lovely Pioneer offering is something that takes some doing, but the best place to start is probably in the ‘compatibility’ category. It is capable of, without any work being done, utilizing a 3.5mm AUX jack, as well as most Bluetooth devices. That’s pretty great, right, but where’s the USB connectivity? If you would like to utilize a USB device via the USB port on it, you’re going to need to get a special cord to do so. These cords are available online, and are known as the CD-IUS1, CD-IUS2, and CD-IUS3, and they are different devices based on whether you’re looking to connect with an older Apple device, an Apple device with a ‘lightning’ connector, or the USB designs that are more common to Android devices. Sounds like a hassle, but with a screen that big (and a touch screen, at that), there is a lot of space already being taken up, so you have to make sacrifices somewhere. What about filetype compatibility for the actual player? It’s a long list, including MP1, MP2, MP3, and MP4, also known as the common Apple file types. Then you also have WMA, AAC, WAV, and AVI. You may notice AVI and MP4 on this list, and there’s an interesting thing that this may indicate to you. 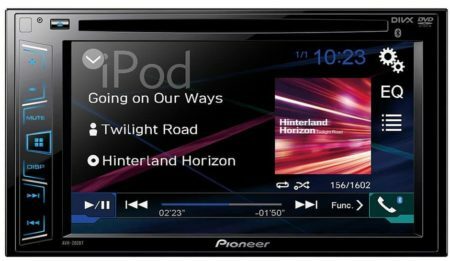 Namely, it indicates that the Pioneer AVH-280BT is capable of showing video, as AVI is a known video codex, and the MP4 type is commonly used for video formats and for some higher-end audio formatting. As far as other features, it comes ready to work with SiriusXM, and even better, it is capable of working with Bluetooth devices, which means that you are going to be able to not only stream music via Bluetooth, but that you will also be able to enjoy hands-free Bluetooth calling, which will be something that you will definitely be happy to have, especially if you take a lot of calls while you are driving. If you’re looking to find a great high-end car stereo with some nice features, this is definitely the one for you, especially if you’re looking for the highest-end equipment available. A couple of years back, people really thought that the SD Card would be the technology of the future. And let’s face it, they had good reason to think this. The SD Card was easily capable of holding multiple gigabytes of data, to the point where they could hold multiple films, or thousands of songs, or tens of thousands of books, with ease. Furthermore, they were common around the world; in fact, in some oppressed nations, SD Cards were being smuggled in that contained data about the world around them and what was going on elsewhere, as well as entertainment that they were being denied for being in the wrong part of the world. Boss Audio’s offering in the running for best car stereo 2018 has to offer (at least the early portion of 2018, anyhow) has something that a lot of others would do well to include, and that is the micro SD slot. This allows you to use the same SD card that is likely in your cell phone or another mobile device, and play music from that. Thankfully, along with the USB and 3.5mm AUX compatibility, the Boss Audio 508UAB car stereo can play micro SD cards, as long as the file type written on the card is something common, like MP3 or WMA. If you’re one of those people with a ton of micro SD cards loaded up with music, and you want to be able to play them while you’re driving, then this may be the top car stereo for you. Kidcia is one of those companies that is not well known, nor does it have a very long history, but that doesn’t mean that they cannot offer you a decent product at a decent price. One big thing that you should notice about this product, though, is that it is missing something that literally every other product has. Believe it or not, the Kidcia JSD-520 has no CD player. Oh, I know, that slot up there above the controls and the screen LOOKS like a CD slot, but it is not. Actually, it’s mostly the microphone for the hands-free call system. Of course, to make up for the lack of CD player, it has the usual, the USB and the 3.5mm AUX jack, which means that you can hook up pretty much anything that you would like to. But even better, you are going to be able to use SD cards, which is a nice touch, and honestly, they’re a lot smaller and easier to move than the CDs that so many people cart around. So, what does the Kidcia offer that makes it so attractive to so many? Well, bereft of big-name support and big name financing, it is able to offer its goods at a discounted rate, which means that you can get it cheaper than most competitors, but remember that this is because it doesn’t have the backing that most other car stereos will have. Soundstream is another one of those countries that are kind of a Johnny come lately to the market. Sure, they haven’t been around long, but they still have something decent to offer to those who are looking for a decent car stereo. To begin with, their car stereo just looks nice. I know, that might not be important to some, but the ability to change the color of the illumination is a nice touch. Then, of course, there’s the fact that it can take SD cards, which is just kind of a nice touch. Add to that the fact that it is capable of running off of USB, 3.5mm AUX, and a Bluetooth connection, and you have a decently capable player. Furthermore, it is capable of hands-free calling, which is just kind of a nice touch. Add this all together, and if you’re in the mood to find a car stereo that does not necessarily have to have a CD player, but that can play plenty of other formats, you’re going to be happy taking a look at this offering from Soundstream for the best car stereo of 2017. 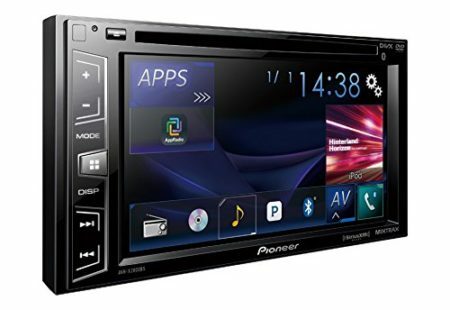 As I’ve mentioned before, Pioneer is a big name in the car stereo game, and this offering is just another winner in the list that they’ve put out. Now, I know that the last few options that we have taken a look at have not had CD players, even though some of them had something that looked like a CD player. Have no fear; this offering from Pioneer absolutely does have a CD player, and it can run filetypes MP3, WMA, and FLAC, which gives you a lot of options for what you want to use to burn CDs for your consumption. It is also capable of a connection via a USB cable, via the 3.5mm AUX jack, and, of course, with the use of Bluetooth. As you can see, it has a Bluetooth ‘hands-free’ call button, and that is a great help to anyone who is always on the go and always having to take calls on the go, especially if that person on the go is often finding themselves having to take calls. It can also help you to avoid having to pay tickets for using your phone while driving, which is always a good thing. Finally, we present yet ANOTHER Pioneer offering, the AVH-X2800BS. It has all the bells and whistles of the AVH-280BT, but with a few minor differences. To begin with, it has a DIVX codex installed, which means that you can watch pretty much any video that you buy or download off the internet (not that I’m suggesting pirating movies). It can take a lot more filetypes than its earlier cousin, however. It can accept MP1, MP2, MP3, MP4 (video), WMA, AAC, WAV, and AVI, basically meaning that if you’ve burned the disc or downloaded (even pirated) the video file, you can probably watch it. Of course, it also includes hands-free calling via Bluetooth compatibility, but the one big nuisance is that the button to take the call is on the far end of the console. In a sedan, that doesn’t matter, but in a pickup truck that can be a bit of a reach. All in all, another great product from Pioneer, and one you’d be happy to own. If you’re looking to get a new car stereo, it’s likely that you realize just how big the market is. The products we reviewed in our search for the best car stereo don’t even begin to scratch the surface of what is being offered out there, but making a choice can be hard, and you probably have questions. Luckily, we’re here to provide you a couple of answers. Is A DVD Player Legal In A Car? I made mention earlier that in some places, being on the phone, hands-free or not, was illegal. In almost ALL places, having a video screen showing video footage while moving forwards is completely illegal. In fact, to deal with this, most stereos with DVD players in them will not run the video when the brake is not applied. What Filetypes Do I Need? Honestly, if you’re just looking to listen to music, MP3 and WMA file types are going to cover pretty much every song that you download or purchase in almost any format. If we’re talking about videos, though, you’re going to want to make sure you have AVI (very common video format) as well as MP4, which is the other common formatting for videos. Between these four, you will be able to watch or listen to most of the things that you could ever want to, including things that you have bought, ripped, or even downloaded (again, I am not encouraging piracy, which is illegal and wrong). Now that we’ve taken a look at a couple of quality options for making sure that you have decent tunes in your car when you’re driving, it is time that we talk more about what it is that you can do to pick the best one of these car stereos for you. 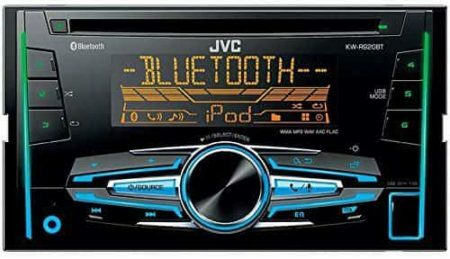 Indeed, the search for the best car stereo is something that will require that you not just read guides like ours, but also that you take some time and consider what it is you really need. Do you really need to have the Bluetooth hands-free call options, or do you not take that many calls? Do you really need CDs, or will you be fine just running your phone or iPod through the AUX cable? However, after a careful review of the available products that we reviewed, we come to the inescapable conclusion that one device rises above the rest to be the cream of the crop, so to speak. 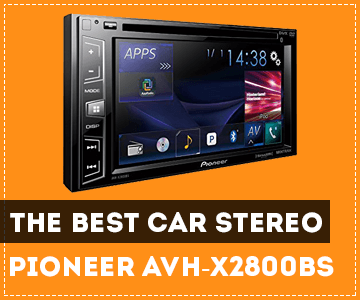 Yes, the best car stereo is here, and believe it or not, it is the Pioneer AVH-X2800BS. If you’re not looking for a touchscreen stereo, you may disagree, but not only can this stereo play most file types that you could ever find, but you can also watch DVDs when you are not driving. If you’re the kind of person who has to do a lot of driving, or who may be doing long hauls and even sleeping in their car, you are going to find that this is a great choice for you. Honestly though, whatever you choose to go with on this list is going to be a great car stereo for you, and one that you will not regret spending your money on.